We believe in traditional medicine, which teaches us the benefits of nature and promote a daily attention to our well-being. It is the basis of our researches. According to Indian medicine, the skin is the mirror of the soul. It is for this reason that our ingredients are carefully selected for their exceptional power and our formulas are developed to be in harmony with the nature. As an invitation to travel all over the Indian Ocean, our cosmetic range is a collection of skincare products for face, body and spirit. Our philosophy combines authenticity and modernity, efficiency and safety. 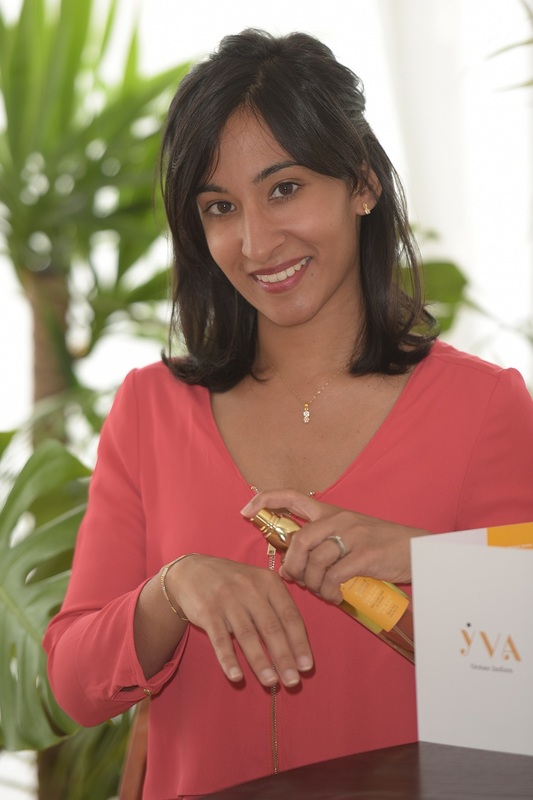 Of Indian origin, Yvana Nourmamod grew up in Mayotte island, in the heart of the Indian Ocean. Induced by traditions, it is with her grandmother that she learnt about traditional uses of plants, as well as through her journeys to La Reunion Island, Madagascar, Mauritius, India or Kenya. Doctor in Pharmacy, graduated in Chemistry and in Herbal Medicine, Yvana created a cosmetic range in homage to her origins, mixing traditions, science and nature. - modern: adapted to today’s women who like taking care of themselves. - inspired by traditions: because the traditional recipes transmitted from generation to generation and taught during my journeys are the most precious things I have. - basic with no frills: thanks to a collection of essential beauty care in which every skin type gets the resources it needs. - of high quality: developing safe formulas with a maximum of active ingredients."